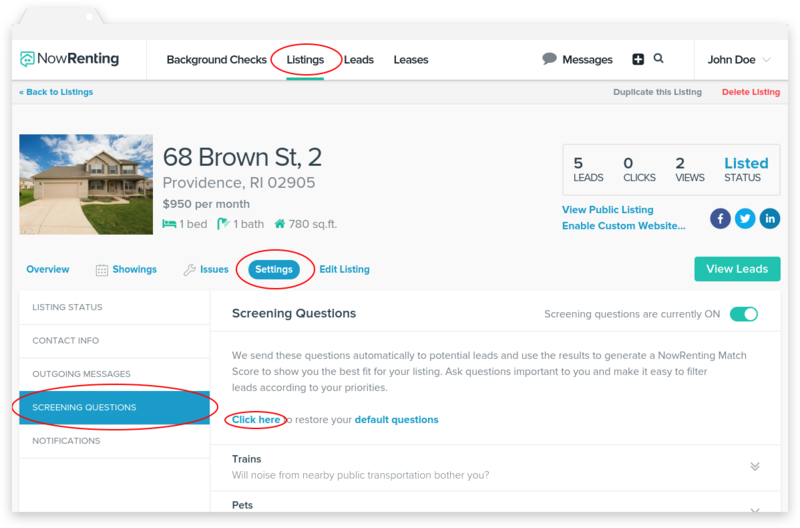 You can create a set of screening questions which will be the default for any new Listings you create. Once you have set screening questions here, any new Listings will start out with those screening questions. Changing your default screening questions will not affect the screening questions for any currently-existing Listings. 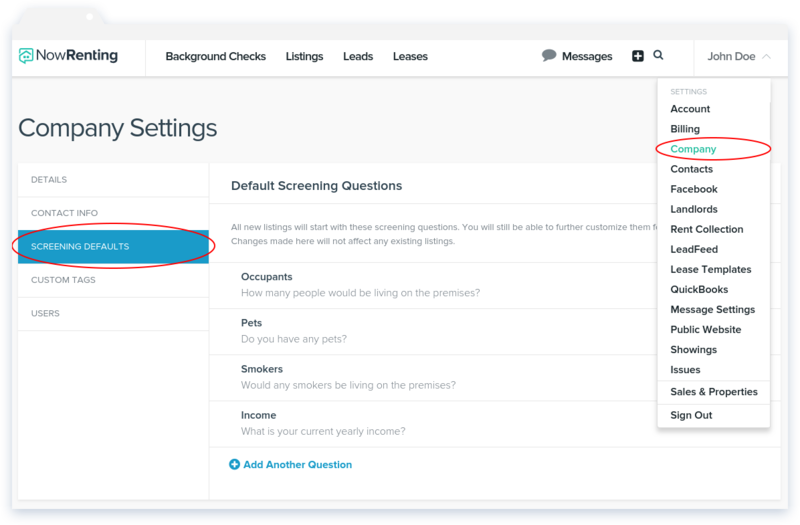 Changing the screening questions for a Listing will not affect the default screening questions. You can restore the screening questions for a particular listing to your defaults by clicking the link in Listing > Settings > Screening Questions.